It took three attempts for Toulon to lift up the Bouclier and Toulon were very concerned about the prophecy of the French saying “Jamais 2 sans 3”, which means: “When it has happened twice, it will happen a third time!”. They lost two years ago against Toulouse and last year against Castres. Therefore, this final against Castres made it a replay of last year’s final… revenge, you may say? Not at all: Toulon did not go to this final with any spirit of revenge but by being very focused. Last year, Toulon found it difficult to “re motivate” themselves after winning their first H-Cup. This time, it was all about winning the Brennus, only minutes after lifting the H-Cup. Castres knew then it was going to be a difficult team to beat. 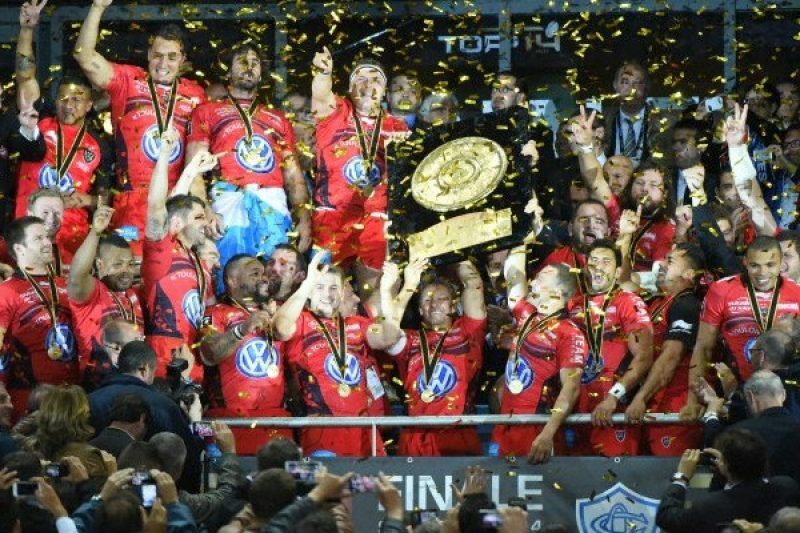 Why was it so important for Toulon to win this weekend? Because, there is only one team who had managed to win the two competitions before and this was Toulouse in 1996 … This was the year without an English team in the competition. Because, Toulon’s last French title was in 1992! Because, it must be hard to be European champion and to lose “only” a week after! 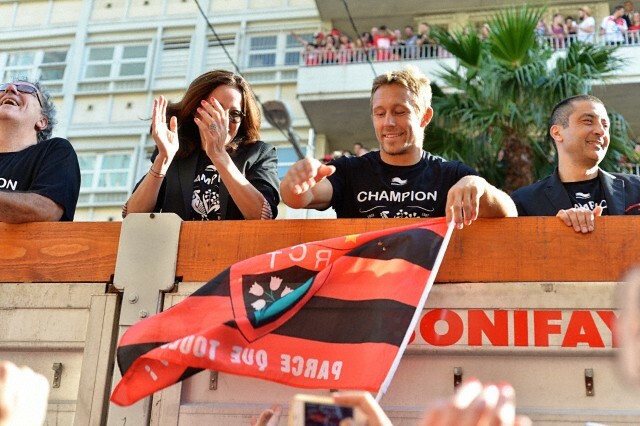 Because, Toulon wanted to bid farewell to their talisman player Johnny Wilkinson with a trophy worthy of the great man. There were indeed too many motivational reasons for Toulon to win, and with a scoreline of 18-10 against Castres, Toulon can now enjoy a deserved break. The season has been long! Now, this is a tough call for the coaching team: what’s next? It starts with how do you replace Johnny Wilkinson? and what can motivate the players? Winning the two competitions again but without losing any games? Watch this space! It would be wrong not to compliment Castres for their achievement. They were the title holders and they managed to secure a second final in a row – no mean feat. Everybody knows how tough and competitive the Top 14 is and reaching the final is already a major achievement. So well done to Castres and to Toulon, the new champions and to all the other teams who have entertained us over many weekends!